Council of Students (COS) is an open-membership graduate student organization at Bank Street College. All students enrolled in academic programs at Bank Street College are members of COS. The primary mission of COS is to make life better for graduate students by being responsive to the needs of the College’s diverse student body. 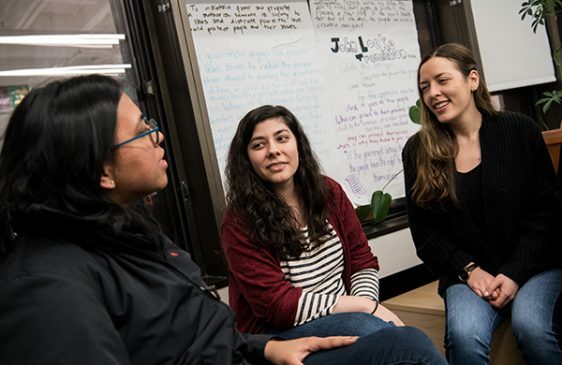 Historically, students in COS have organized to facilitate dialogue between Bank Street graduate students and the larger community in a number of ways; for instance, the development of the COS Workshop that is offered to students enrolled in Supervised Fieldwork/Advisement. 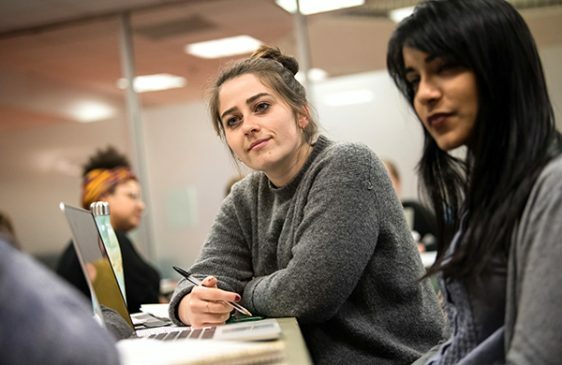 The workshop focuses on issues of race and social justice in education and has led to the development of affinity spaces for students wanting more instruction and discussion in these areas. Each One Teach One, a yearly showcase of collective educational expertise within the graduate student body and beyond. Orientation presentations to welcome new students. Affinity groups and advocacy groups, such as the Bank Street Anti-Racist Allies. A rotating showcase of graduate student art. Regular happy hours and field trips to build community at Bank Street and beyond. Students interested in developing COS programming should contact Wendi Williams, Associate Dean, at wwilliams@bankstreet.edu. Through the Council of Students, you can secure free space rental for student activities, explore co-sponsored funding for student-led events, access COS leadership expertise to support a project, and potentially qualify for vouchers for continuing education credits based on volunteer hours. The Bank Street College of Education Board of Trustees invites a student to advise the board by sharing perspectives on pertinent issues relating to student life at the College. In addition, Student Trustees attend board meetings and regularly hold student forums to provide updates and hear about students’ experiences. The Student Trustee is elected to a one-year term. Elections are held every spring for the following academic year. To qualify, applicants must be in good standing, with a minimum of one year of study remaining at Bank Street. They should be interested in issues of governance and advocacy and possess excellent speaking and organizational skills. Applicants cannot be in staff positions at Bank Street College.